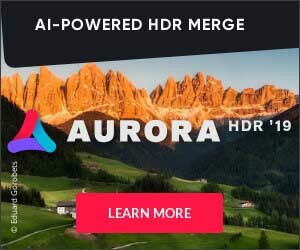 If you don’t have Luminar, grab it here! Today’s tip shows how to remove that color cast you may not know is there and how to use the AI-Accent slider. Here’s a photo I took on my three-hour hike around the lake. I think it only takes half that time, but I was really going slow and getting distracted. I didn’t see another human soul the entire time, so it was sort of surreal. A lot of the Queenstown and Arrowtown area is overrun with tourists, so it’s rare to spend times like this alone. I have a rough plan to come back here after a fresh snow, because I think it will look incredible! When the new Luminar came out with the cool AI Slider, I decided to update my Luminar Review. This was an especially great photo walk! I was surprised when my friend Hans Zimmer and his band came out to join us for the entire event! He’s also on tour in Europe at Hans Zimmer Live and as you can tell from his schedule, he’s working much harder than I am! Anyway, you’ll see a bit of footage from Hans in these clips below. Wow, I’m really loading up the blog with Budapest photos this week. Sorry gang. I don’t know why I went so photo-crazy there. Maybe it was because the tour had ended and I had some spare time to wander and be a true flaneur! Who knows… well the case is probably that the city is so beautiful that you just can’t go wrong… I can’t wait to go back here and have more wanders (and more amazing food that costs 10% what it does anywhere else in the world!). Trey and Photo Serge in Paris! Just by chance, my friend Serge Ramelli was in Paris while we were there on tour. Here’s a video he made while there… always good to see Serge, and even better to hang out with his extended family a bit! You’ll see his daughter Marin in the video below as well. Go grab the new Luminar now at the Skylum website. It’s a great improvement over the last one. I’ll talk about one feature in particular here: the “AI Slider”. After you load an image into Luminar, go up to that drop down on the top right and select “Quick & Awesome” – inside there is that ONE slider you need “Accent – AI Filter.” You can see the split screen here… that is literally the only slider I moved! This was taken in Monet’s garden in Giverny, a place I had always wanted to visit. I bet Monet wishes he had this slider himself. Here’s a slightly more complex screenshot to show you just a few of the other things you can do in Luminar. Here, I tried a different workspace – the “Landscape” workspace. When I selected this, it opened up a ton of filters on the right side. It still has that “Accent – AI Filter”, but it also has a whole host of the other filters that can really give your landscape a bit more attitude. You can’t see it all in this screenshot, but you can scroll down quite a ways and make all sorts of adjustments. Hey there’s some new Mac software you should try – it has this ONE awesome “AI Slider” – too easy! This is the latest iteration of Luminar, so it has all the other nifty sliders if you want to get down in the details. Grab it now at the Skylum Site. Here’ a quick broadcast from my desktop to show you how to use the AI Slider. I made the photo below with Luminar — it’s a really fun tool and I recommend it. To see more about it, see my Luminar Review here on the site. Here’s a photo I’ve only recently processed even though the last flight of the space shuttle was quite a long time ago. I felt very lucky to go out to the launch pad on the final night… I felt like I was in a science fiction movie. Unfortunately, tripods were not allowed (why? ), so I had to keep my unsteady hands as steady as possible! If you and I ever hang out (yes YOU), then remind me to tell you the story about my “briefing” before the trip to Antarctica. It’s one of the craziest stories ever and Stu and I still talk about it. During my nightly hikes in Antarctica, I would try to visit new parts of the ice folds each time. They would change just a little bit every day as the sea ice crashed into the immovable earth. The shapes they made were mind-boggling. I’ll never forget it. It was also quite scary, hearing all the ice creak and heave… unsettling and it made me feel quite small.